Streeter Super Stands Double & Triple Stackers are great for families, teams and shops who need to store, display or transport multiple karts. Streeter's innovative Stacker series of stands are the only Stackers with easy slide stainless pegs and laser cut gussets with cinch strap holes. 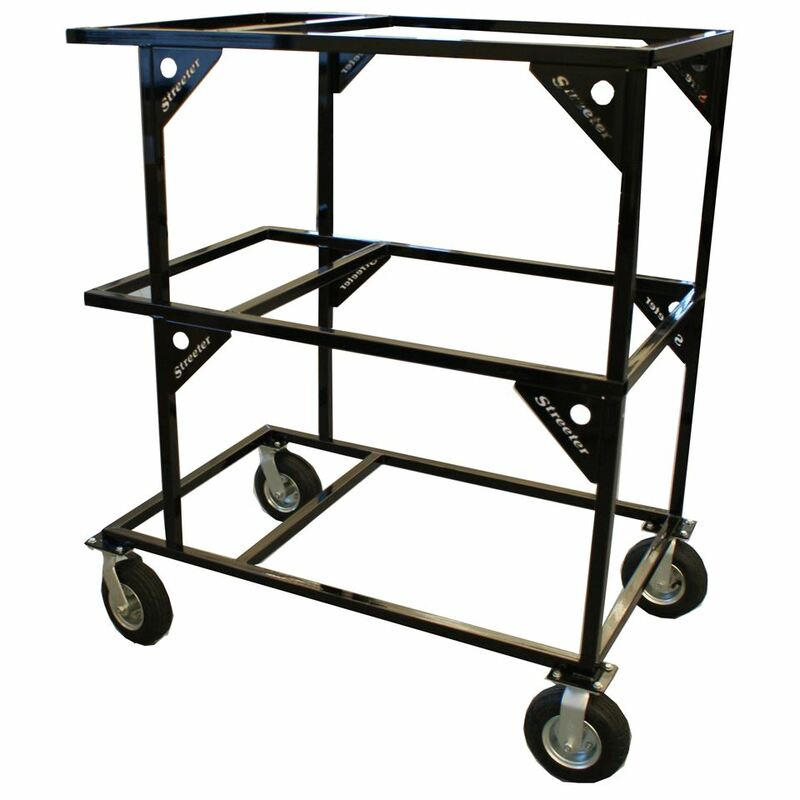 Flat Free casters come standard. Easy assembly means your ready to go within minutes! Ships UPS Ground. For CIK Style Sprint Carts. Streeter Stackers are also compatible with the exclusive Table Top option which turns your stacker into a portable work surface at the track or in the shop. Black, red, or blue powder coating choices are standard. Don't event think about putting your expensive equipment on anything other than the best- nobody else has a stronger, better functioning, quality built Stacker. Nobody. When you want the best there is only one name that counts: Streeter Super Stands. For Sprint (CIK bodywork) style karts.